Through arts-organizing, focused around the idea of the “water as commons”, the SeaChange Voyage provides an opportunity to weave together diverse local issues and mobilize people towards engaged action. With its motto: “We all live downstream”, the SeaChange Voyage travels upon the Hudson River as it celebrates it, bringing people together around their love of this river while also pointing them towards immediate ways of engaging to protect our waters and our climate. July 13 – 23, 2017 a crew of artists and activists will journey from Lake Ontario to New York City upon a 40-foot solar-powered boat. Along the way frontline artists and organizers will be hosting community meet-ups, potlatches, performances, and presentations to open the dialogue with local communities about the threats to their local water systems. By focusing specifically on the supply chain of fossil fuels, we hope that this journey can strengthen the connection between communities, artists, the river and the climate as we organize to protect what we love. We do this by embracing the power of art and culture as tools for communication. The SeaChange Voyage is a collaborative project initiated by artist and activist Kevin Buckland, done in collaboration with people and organizations all along the two-way-river. The threats facing the Hudson River today should not be underestimated. New proposed infrastructure would convert the Hudson River from a common resource to a fossil fuel highway, privatizing profits while collectivizing great risks. In 2014, the SeaChange Project formed around the desire to innovate new artistic forms to support the protection of the Hudson River watershed and to gather localized community struggles into the frame of the global climate crisis. 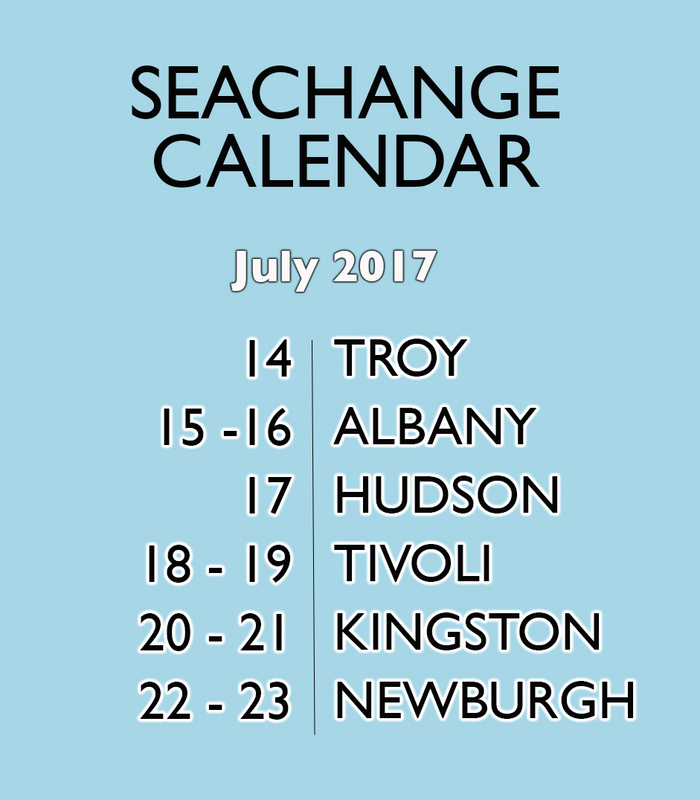 The SeaChange Voyage embarked down the Hudson River from Troy, New York, to Manhattan in their new flotilla of handmade paper boats. In the context of the unprecedented and urgent human-made climate crisis and its terrifying – and already noticeable – consequences, we are all on the frontline.